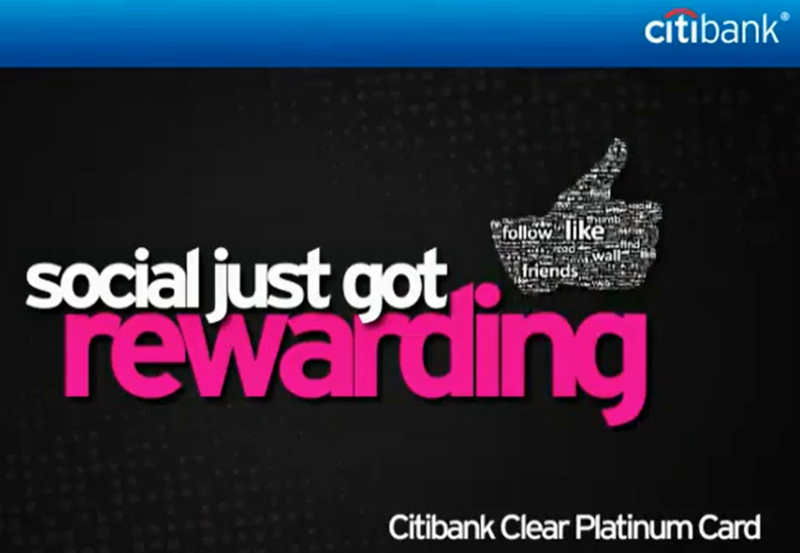 With its ‘Social’ Credit Card is Citi More Innovative than Amex or Barclaycard? Last week, Citbank Singapore proudly announced the launch of its new ‘social’ credit card, ‘Clear 24/7’. Basically, the bank aims to urge its card holders to spread the word around them on the likes of facebook or twitter about the card and its perks, and reward them for doing so. Citi’s new long term social strategy involves monthly contests on facebook and to support the launch, an initial contest to become a ‘Social A Lister’. I shared my initial thoughts in a short video where I mentioned two other recent social media innovations from American Express and Barclaycard US. To better leverage the 1.5 million Facebook users under the age of 35 in Singapore, Citibank has launched its Clear Platinum Card which allows Facebook users to ‘check-in’, win badges (gamification), gain rewards, and earn points which can then be converted into Citibank dollars through its Clear 24.7 Facebook app. I invite you to watch my video available on our official YouTube Channel. Companies mentioned: Citi Singapore, American Express, Barclaycard, Chase.